Welcome to the website of a Polish company which specializes in regeneration of car parts since 1983. Since the beginning of our activity, two key values have characterised every process and field of the company’s activity – HONESTY and RELIABILITY of the provided services. That is why, today we can pride in a stable team of professionals and a vast experience in regeneration processes. 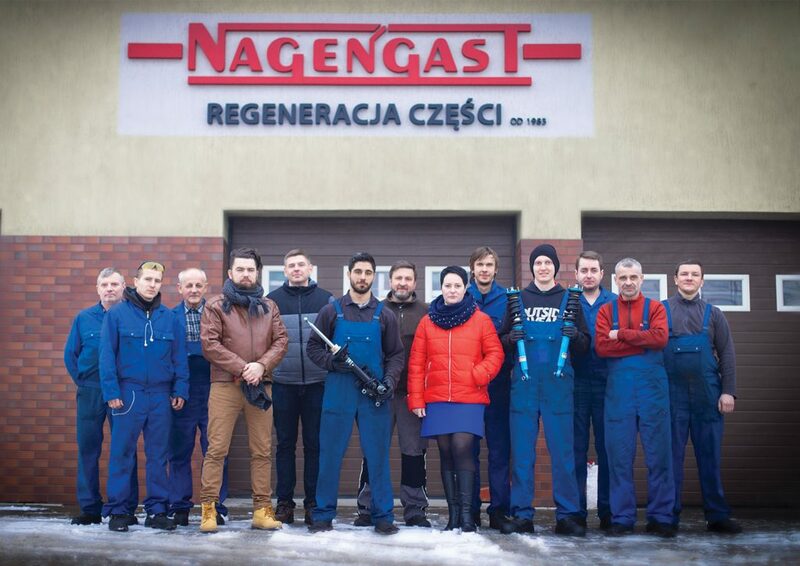 The Nagengast company is a Polish enterprise operating on a European wide market, which has specialized in regeneration of automotive parts for 35 years. Engineering is our passion, so we continuously expand our offer. The company is a patent proprietor and manufacturer of an electric spring extractor, which has been designed and constructed based on many years of experience in replacing shock absorbers. We look forward to cooperating with partners from all over the world. We believe that our knowledge and experience can be used in many processes, so we encourage you to contact us! We are ready for new challenges.